At present there is only one stone for two people in the cemetery. Helen Hall says that there were 9 graves here at one time. Also thought to be buried here are John McMenamy and his son, Isaac, and wife. The McMenamy family has cleaned the cemetery and is thinking about putting up a fence. The farmer does not like people wandering on his property. The land is connected to the family whose house is catty-cornered at the junction of CR 511 and FM 2862. The cemetery is about ½ mile east of the Horton Cemetery and 1 ½ miles south of the Elm Grove Cemetery, southwest of Westminster. 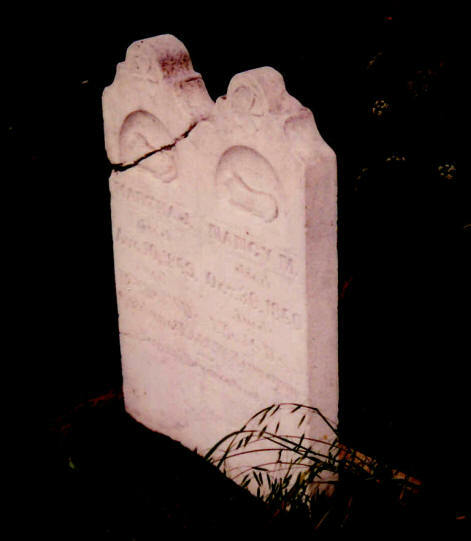 In 1992 there was one double stone in the cemetery, that of Nancy M. McMennamy (one month and 8 days old, d Oct 30, 1860) and Martha J. (18 yrs & 18 days old, d Aug 10, 1869) McMennamy, who were children of Isaac and Nancy McMennamy. Martha is listed in the 1860 US Federal census and in the 1870 US Census Mortality Schedule. 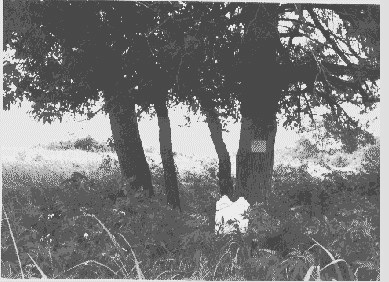 According to Cemeteries of Collin County, Texas, the cemetery contains about 9 graves, all members of the John McMennamy family. Isaac was a son of John. None of the early McMennamys are listed in Cemetery Inscriptions of Collin County as buried in Collin County. They are probably buried in this family cemetery. The McMennamys are listed in the 1860 US Census in Collin County, but not in the 1850 Census. All of the children and Isaac McMennamy are listed as born in Texas. From their birth dates, the McMennamys were in Texas by 1850. No census records verify this. Listings in 2012 on Find A Grave for the McMennamy Cemetery are in error. The ones listed on the web site are actually buried in the Farmersville Cemetery.